I went to the doctor’s office yesterday for my BP check-up. I didn’t have an appointment since walk-in is the norm at his office. The clinic is located just 200 meters away from home. To my surprise, there was a sign at the door saying that the clinic is close from June 3rd to June 15th as they are on their summer vacation. That’s almost two weeks of vacation ~ not normal. And summer hasn’t even started yet. People don’t go on summer vacation until the last week of July. The news about MERS in Korea is causing panic with schools closing and masks selling out. My son’s school in Seoul has not been closed though~ but they are postponing the yearly student health checkup to avoid unnecessary trips to the hospital. On JTBC news last night, it was reported that big grocery chains are almost empty of shoppers but online shopping has increased the past few days. Some products that were seen to gain sales significantly include masks, ginseng, tomatoes and hand sanitizers. 2. A 71-year old man who was also in the same hospital ward as the index case. 3. An 82-year old man who was diagnosed with MERS after death. 4. A 76-yr old man who shared the same ward with the index case. All four people had other illnesses. They were in the same hospital as the first person who got the disease. The CDC also offers information on the disease. It helps to read the FAQ on MERS so we don’t panic. 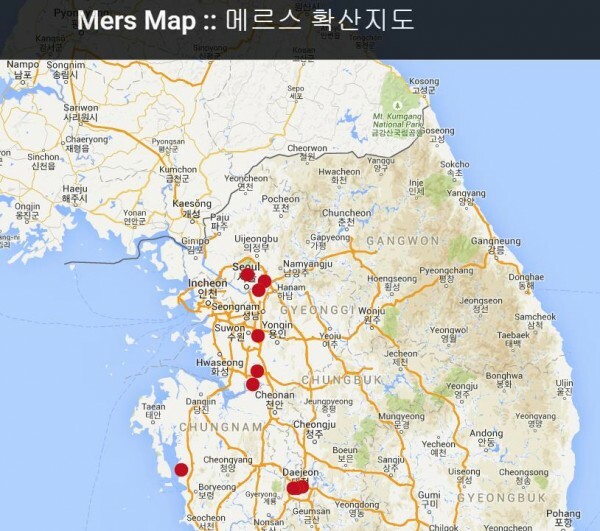 How to protect yourself from the MERS illness? Check the CDC’s prevention and treatment page. I hope people will just stay indoors and quarantine themselves if they are not feeling well. Koreans don’t usually cancel appointments even when they’re sick. I remember knowing a girl before who was very sick but attended school anyway. She would go to school in the morning and go straight to the hospital after school. She was practically living in the hospital and yet still managed (forced by her mom) to attend school.